"It's dead," he said. "It's been dying since I was five." He leaned up against the side of an enormous, empty building. In the 1980s, shoppers would have filled this sidewalk on a Friday evening. Now, the mall's 1.2 million square feet of retail space sit mostly empty -- in the middle of one of the most expensive real estate markets in the country. The site of the former J. C. Penney. It was the the last department store at the Vallco Shopping Mall, remaining until April 2016. Vallco Fashion Park opened in Cupertino, California, in 1976. At the time, Apple was a startup in a nearby garage. By the late 1980s, the mall housed almost two hundred stores, including three large department stores. Its mid-range shops targeted the surrounding sprawling suburbs. Vallco's troubles began in the 1990s. As the mall grew, so did the tech industry. Apple's headquarters are within walking distance; Google, Netflix, and many other tech giants are also nearby. As Silicon Valley boomed, newly affluent shoppers started preferring higher-end stores in other shopping centers -- or the Internet services that they built. A few months after that announcement, the mall locked its doors. Shoppers can still access a handful of remaining businesses that have their own exterior entrances. "We're still open," an employee at Benihana told me. "We have a long lease that doesn't expire for several more years." With the mall's closure, a large plot of land in Cupertino now sits unused. Meanwhile, the area's competitive housing market continues to yield sky-high property values. A short walk away, buyers recently paid $1.57M for a 1540 sqft home and $2.23M for a 2000 sqft home in the adjacent neighborhood. 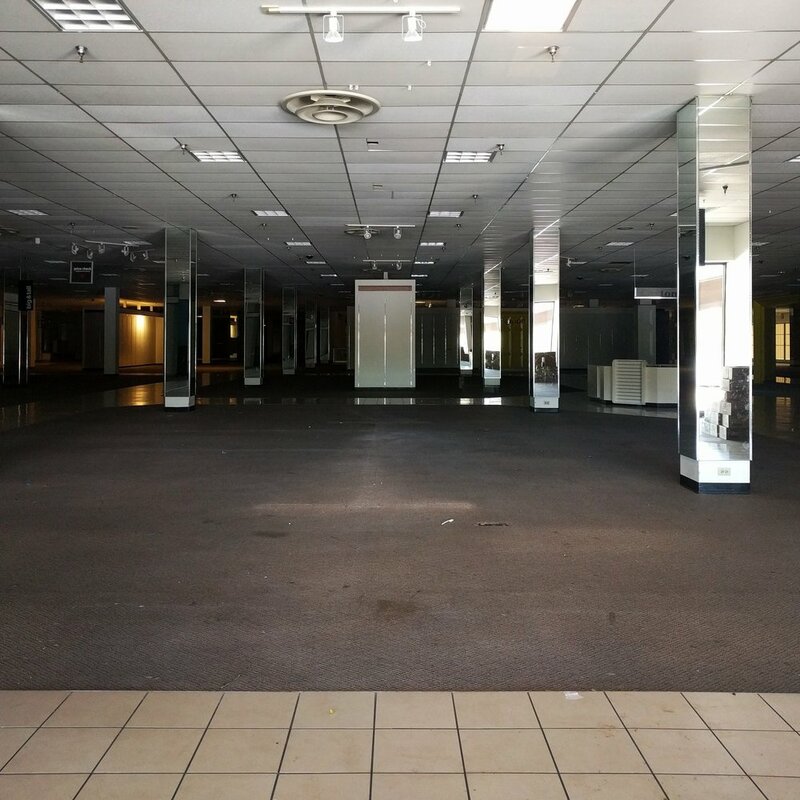 With its close proximity to Apple's headquarters, immediate freeway access, and top schools, this dead mall languishes in one of the Bay's priciest areas. All of the exterior entrances to the department stores and main mall are now closed. 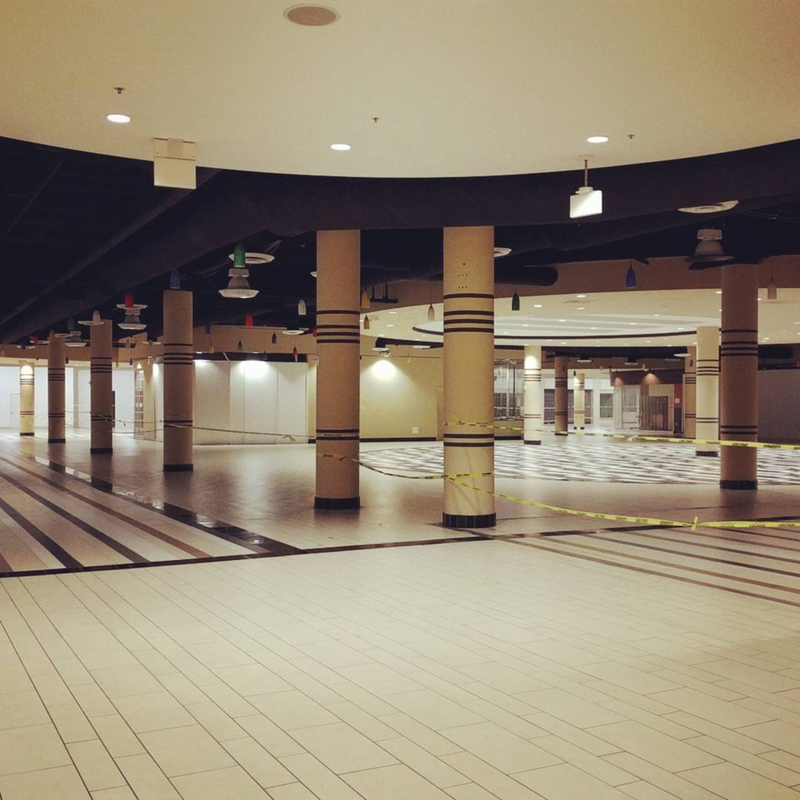 An interior view of the former food court, taken shortly before the doors were locked. The former home of J. C. Penney, which closed in 2016. Benihana remains as one of the last shops. It has its own exterior entrance. 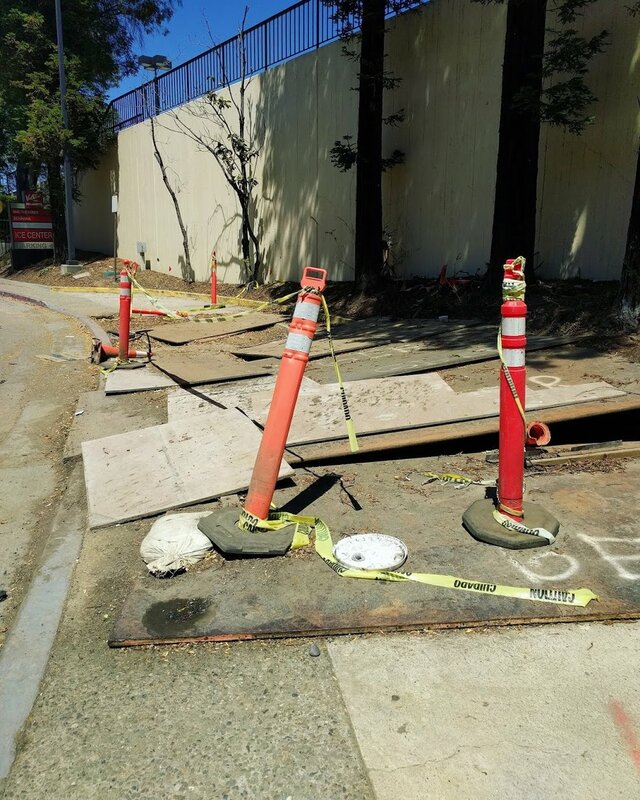 A large, unpatched hole in the sidewalk outside the mall.